We provide a wide range of products which cover many domestic, commercial and industrial wastewater treatment and pumping applications. 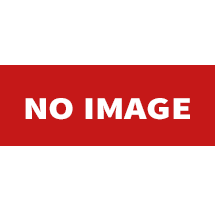 Please feel free to browse the pages below; click through to find individual products and to download product brochures, or to just download brochures go directly to our brochures page. The default option for on-site domestic wastewater treatment has long been a septic tank followed by a drainage field (or "soakaway"), and in Scotland that remains SEPA's preferred option - only if the ground's porosity is inadequate will a discharge to surface waters be considered. 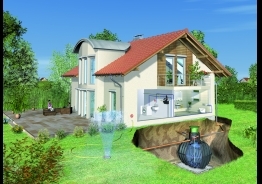 In England and Wales, however, planning regulations stipulate that a packaged sewage treatment plant is to be preferred over a septic tank, regardless of whether it discharges to surface waters, e.g. a stream, or into the ground via a drainage field. 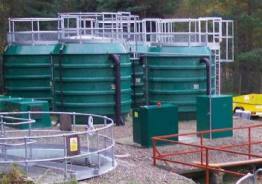 We design, supply, install and maintain septic tanks and sewage treatment plants, cesspits where neither of the above solutions are possible (except in Scotland, where they are not permitted), and of course packaged pump stations where the main sewer - the universal first choice in all situations - is some way away. On these pages you'll find information on options for treating and pumping wastewater from hotels, camping and caravan sites, golf courses, retail parks, care homes, offices, pubs, schools, gyms and health spas, sports club facilities, car park toilet blocks, motorway service stations - any property, in fact, with a commercial use and not connected to the main sewer. "Commercial" is the term to differentiate what is essentially domestic quality wastewater resulting from a business activity rather than a domestic situation. It doesn't indicate industrial wastewater treatment. Rainwater harvesting at the commercial level delivers substantial operating cost savings and a quick return on investment. From businesses like car auctions to quarries and construction sites, where vehicle wash-down before leaving site is often an environmental requirement, the use of harvested rainwater is worth exploring. Sustainable Urban Drainage Systems employing rainwater harvesting as part of attenuation are also common. We can offer SUDS with and without, as well as water storage tanks for farms and horticulture. Fats, oils and grease - or FOG, as they are called collectively - are the source of many problems in both on- and off-mains wastewater treatment. When they are disposed of down kitchen sinks especially they not only block the pipework themselves when they congeal and harden, FOG also slows the flow of other solids through the pipework by causing friction, or drag, sometimes to such a point that the flow stops altogether. Using detergents or bleach or even very hot water may appear to help but this is only temporary as the mixture soon turns back to viscous, thick or even solid fat further down the drain line. Grease separators and grease traps can be placed in the drain line to separate FOG from wastewater. The wastewater then continues to flow to the sewage treatment plant and the FOG is retained in the separator or trap. 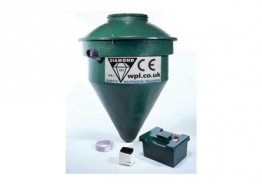 A grease separator is usually a large underground tank installed outside the property and regularly vacuum-tankered by a licensed waste disposal contractor. 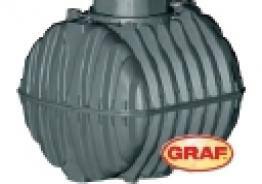 A grease trap is usually a much smaller unit, retrofitted inside the property, often under a pot-wash or pan-wash sink. The collected FOG must be emptied from the integral collection container daily by kitchen staff. 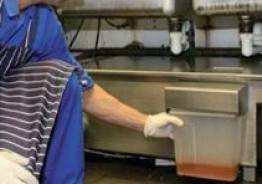 Keeping fats, oils and grease out of drains in the first place through effective and robust kitchen management procedures is the very best and least expensive form of FOG management and should always be the first line of defence. Special bacteria can be used to break down FOG in the foul drainage system pipework on commercial properties and can be very effective where properly used as part of a wider FOG management programme its not possible for a property owner or business operator to contract out FOG management to a third party.